MOZAMBIQUE, Feb 13, 2018 - (Media OutReach) - DHL Global Forwarding, the leading international provider of air, sea and road freight services, has appointed Daudo Vali as Country Manager, Mozambique. With the appointment, Daudo will lead and manage the country's operations and be responsible for driving its business growth. Daudo has been with DHL Global Forwarding for the last five years, and had previously taken on the roles of Head of Sales in Mozambique, Head of Airfreight Operations in Angola, and Business Strategy Analyst for Sub-Saharan Africa where he drove operational excellence for over 4,500 tons of shipment per annum. Most recently as Head of Sales in Mozambique, Daudo grew the company's turnover by over 50%. Based in Maputo, Daudo will report to Daniella De Pauw, CEO, DHL Global Forwarding Sub-Saharan Africa. Amadou Diallo, CEO, DHL Global Forwarding Middle East and Africa, said, "Collectively, the region continues to present a positive growth story, in part due to stabilizing governance and healthy economic conditions. I'm a strong believer that leaders with a strong understanding of how the region works, are best positioned to drive win-win outcomes for the company and for our customers." Daniella De Pauw, CEO, DHL Global Forwarding Sub-Saharan Africa, said, "Daudo has proven to be a capable logistics professional who knows the region well, and remains a key asset for our business. Over the years, he has built a wealth of experience and first-hand knowledge of day-to-day operations - having risen through the ranks in DHL over the last five years. His appointment to this new role is a valuable addition to the business, as we continue to expand our footprint in Africa. With his strong understanding of the local business and cultural practices, I'm confident that Daudo will help us realize this market's full potential, amid the anticipated growth in freight volumes." Daudo Vali, the newly-appointed Country Manager for Mozambique, DHL Global Forwarding, said, "I am honored to take on this new role, to drive positive change and business outcomes for Mozambique. As a citizen, I believe in the market's tremendous potential and will apply my strong understanding of the local culture and business practices to lead the organization. I look forward to continue delivering the highest standards of excellence to our customers, with the support of a talented and committed team." A native of Mozambique, Daudo brings over ten years of experience across various roles in non-profit as well as corporate sectors. He started his professional career by setting up the world's largest youth-run non-profit organization AIESEC in Mozambique to encourage entrepreneurship among young Mozambicans. 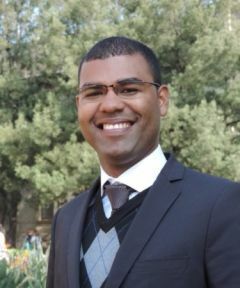 He holds a Master's degree in Business Administration (MBA) with the University of Cape Town, and is part of the Young Global Shapers Community, an initiative of the World Economic Forum.